Things are looking down for the first time in Mark Morrice’s career – and he could not be happier. Mark is the new Area Development Manager at Lanes Group’s Aberdeen depot after he joined the business from a cladding and roofing company. He said: “I had been in that sector since I was 18, so coming to Lanes means I am looking down, at drains, rather than up at roofs. Not that Mark, aged 30, from Stonehaven, has experienced many dull moments in the last year. He and his partner, Rebekah, have a 10-month-old baby girl, Aurora, who was born two months premature. The couple were the first in the area to benefit from a new NHS support service for women expecting premature babies, which meant they appeared in papers, on the radio, and on TV News across Scotland. 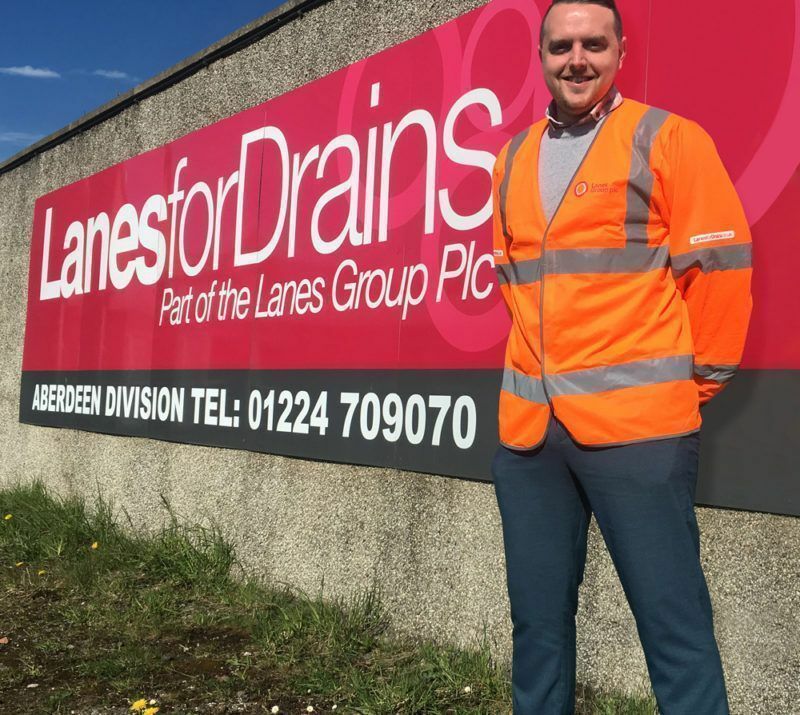 Now Aurora is thriving – and crawling – Mark is focussing on generating new sales for the Lanes specialist drainage team in North East Scotland. He said: “I was impressed with Lanes from the start. They let you use your initiative, be proactive, and take responsibility, while supporting you all the way. The Lanes Aberdeen depot, based at Murcar, Bridge of Don, provides a full range of drainage services, including CCTV drainage surveys, drain unblocking, sewer jetting, and drain and sewer rehabilitation. Mark hopes his career will continue to be looking down, there are big things to achieve!